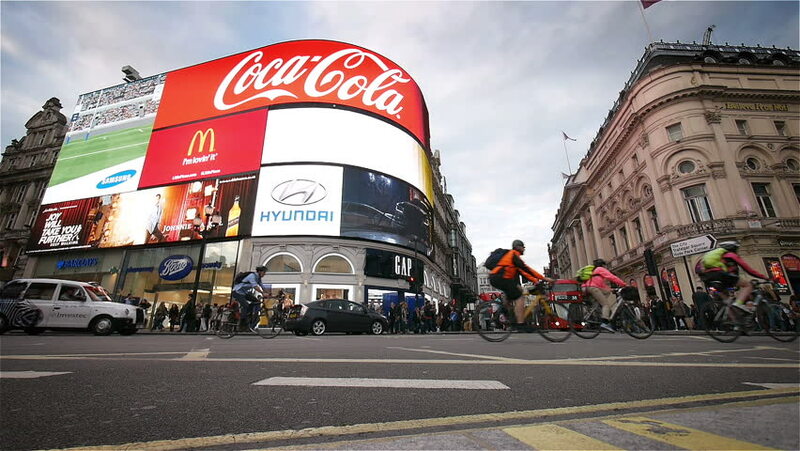 LONDON, UK - 19 SEPTEMBER 2015: A low, wide angle view of the landmark advertising hoarding in London's Piccadilly Circus with traditional black taxi cabs and red buses passes the frame. 4k00:18PICCADILLY CIRCUS, LONDON - DECEMBER 19, 2018: Crowds of tourists view the bright advertising screens at Piccadilly Circus in London, UK. hd00:18Hanoi - June 2015: Evening traffic on round about.